What is YouGov? Does YouGov work and does it pay? 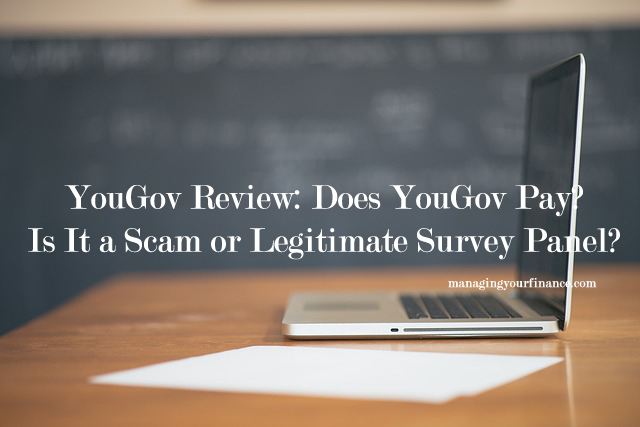 Is YouGov a reliable survey panel or it is just a scam? My answer to these questions are YouGov works, it pays and it is a legitimate survey panel. The big question is can you really make a living from YouGov? Read YouGov Review to find out. YouGov Review – How Reliable is YouGov? YouGov is an international Internet-based market research firm, headquartered in the UK, with operations in Europe, North America, the Middle East and Asia-Pacific. YouGov is slightly different from the other survey sites as they take a political angle. YouGov calls upon its extensive expertise in online research and sampling to conduct polls and give insights for media, political, non-profit, marketing and university organizations. YouGov is well regarded within political circles which is due to the fact of their dedication and accuracy, their team is now ranked among major surveyors. Their results are displayed within articles and on the television as well. YouGov was established in May 2000 in the UK. Stephan Shakespeare co-founded this company and he also happens to be its present CEO. At the time of writing, it seems that YouGov is not longer accredited by Best Business Bureau. The accreditation has been revoked due to large amounts of complaints. However, it does not imply that this survey panel is a scam. How to Earn Money With YouGov Every Day? YouGov has a wide range of reward options and user opportunities for their members. They allow consumers from around the globe to participate in their surveys and market research activities wherein they can earn points in exchange of their efforts. As I mentioned above, they deal a lot with politic surveys. Besides that, they also get into teen opinions, business and IT surveys, and even product testing. You could also do surveys daily on your phone via the YouGov app called ‘YouGov Daily’. These surveys are super simple. YouGov offers frequent paid surveys, and they send an email every time a new survey is available. It can be different from country to country, but on average you can expect 5-7 surveys a week. The site is quite easy to navigate compared to some other paid survey sites. However, as you receive an email whenever there is a new survey, you actually do not have to navigate on their site very much. Since signing up, they have started to send me surveys from one time a week to a few times a week. The best part of these surveys were all very short: 1 to 5 minutes the most. Average survey is less than 2 minutes and then you will earn from 150-250 points. Yes, YouGov gives you points in exchange for your answers. The points that you accumulate per survey can range go up to 500 points. In addition to the surveys that you complete with YouGov, you can also earn points for recommending your friends to sign up with YouGov also. In fact, if you refer a friend to join YouGov with your personal referral link, you will receive 2,000 bonus points when they complete just 3 surveys. If you’re an experienced affiliate marketer, you can earn up to $3 per lead if you apply for YouGov’s affiliate program. YouGov does pay but here’s the thing. You need 35,000 points in order to request a withdrawal — this equates to $25, making it 1,400 points per $1 value. To redeem your points, click on ‘Rewards’ tab to see the rewards you are eligible for. You cannot redeem a reward worth more points than you already have. However, you are allowed to select a prize worth lesser points and your unused points will remain in your account and can be used in future. The point here is, go for rewards that have lesser than or equal value to your points. In case you choose gift cards, YouGov branded merchandise or any other physical commodity, then expect the reward in around four weeks. Prizes are delivered by U.S. mail, therefore, the wait. (+) It is free and anyone around the world can sign up as a member of YouGov. (+) There are many different ways to make money with YouGov. (+) Referral commissions are attractive. I like their affiliate program. 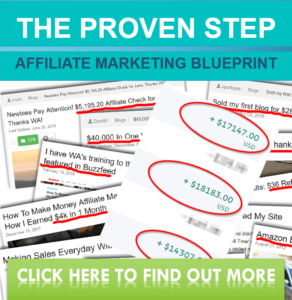 You can basically boost your earning by having more referrals under your account. (+) They do pay their members. It is definitely a legitimate site. (+) You can redeem either cash or points. There is a flexibility where you can convert cash to points or points to cash. There are no processing fees to redeem Gift cards. (-) At the time of writing, there are several complaints from their members such as the site was down and payouts were not made. That could be the reason why it is no longer accredited by BBB. (-) If you cannot refer enough people, then it will be very slow to earn money in YouGov. (-) Surveys are normally geographically targeted as well as related with your profile information. Sometimes, you can be disqualified anytime in the middle of the survey if they think you are not fit for that survey. (-) The points are deceptive and super high cashout threshold. As far as cash out minimums are concerned, this figure is the joint highest I have encountered among all survey sites. When it comes to its legitimacy, YouGov is definitely a legitimate survey panel. What I do like about YouGov is their affiliate program. It does seem to me that if you really want to boost your earning potential, focus on their referral program. YouGov is a site that is paying its users without serious issues, you could possibly take this opportunity to plant the seeds, and you continue to reap fruit year in and year out. Using this survey panel, you can earn additional income if you have the time to complete offers (their availability depends on your location) or if you are able to build a big and active downline. Be sure to stick to their Terms of Service. The admin of this site will strictly follow the Terms of service when it comes to suspending accounts of those who break the rules. I bet some people claim that certain survey panels are scams just because the earning potential is so low. I don’t think this is a good enough reason to brand something a scam. YouGov clearly does pay out rewards to people that accumulate enough points. To conclude we would say that YouGov is an excellent survey site to join. They offer plenty of chances for you to earn some extra money from taking surveys. They do not mess with rewards and pay you cash directly to Paypal but an extremely high cash out threshold. If you are interested in making passive online income (pocket money) through completing surveys online, you should consider joining more than five survey panels. It’s important to know completing surveys is not the way to get rich online. I believe some people in the world may find making an extra dollar or two an attractive option. On the other hand, you should realize you may have to spend a good number of hours of your time just to make this money. Next story Brand Institute Survey Review: What Is Brand Institute Survey About? A Scam? Previous story Surveysay Review – Does Surveysay Pay? Is Surveysay Safe and Legit Survey Panels?